My wife and I have a good friend who has Asperger’s Syndrome. You may not be familiar with that condition, but it is a form of autism in which the sufferer has failed to develop socially beyond a certain point. He is apt to be super intelligent, and that’s certainly the case with our friend. But one characteristic of the underdeveloped social skills is that he talks a lot about himself and doesn’t always remember to ask others about themselves. We tolerate that because we love him. We know it’s not his fault, and we understand that it’s not something he can ever be “cured” of. He does do one thing that we can’t help but laugh at, though. He’s a real camera nut and takes hundreds of pictures. No, that’s not the funny part. He does, however, tend to take pictures of himself a lot. (Must be his best friend actually using the camera.) Especially when he’s out shopping and trying on clothes. We’ve probably seen every outfit he’s ever tried on because he posts the pictures on Facebook. We also see photographs of the clothes he plans to wear for church that Sunday. In all fairness, he also takes a number of pictures at Maymont, a beautiful park in Richmond, and posts all of them. But at least he’s not in every picture. I hope I’ve made clear that I’m not writing this to criticize him. These self-centered activities are simply characteristic of a problem too few people are willing to learn to accept. My wife and I are thankful that we’re generally patient and accepting. His intelligence amazes us, and he couldn’t be more personable in his own way. We enjoy being with him. One thing I failed to mention is that he is a real fanatic about hats. And that’s something he and I have in common. 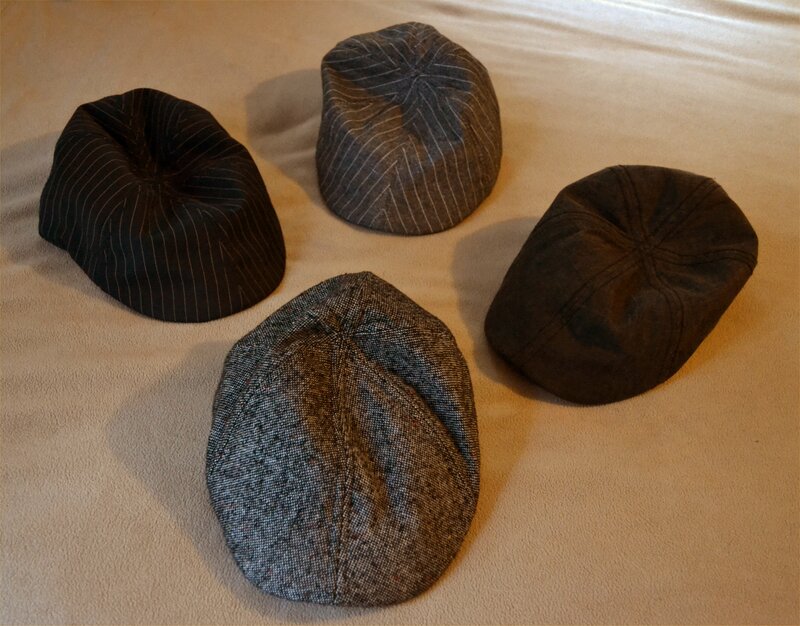 So I want to dedicate the rest of this blog to him by talking about of some of my hats, pictured above. I can’t recall when I started losing my hair, but I’ve been a fan of hats ever since. And that’s been a number of years now. 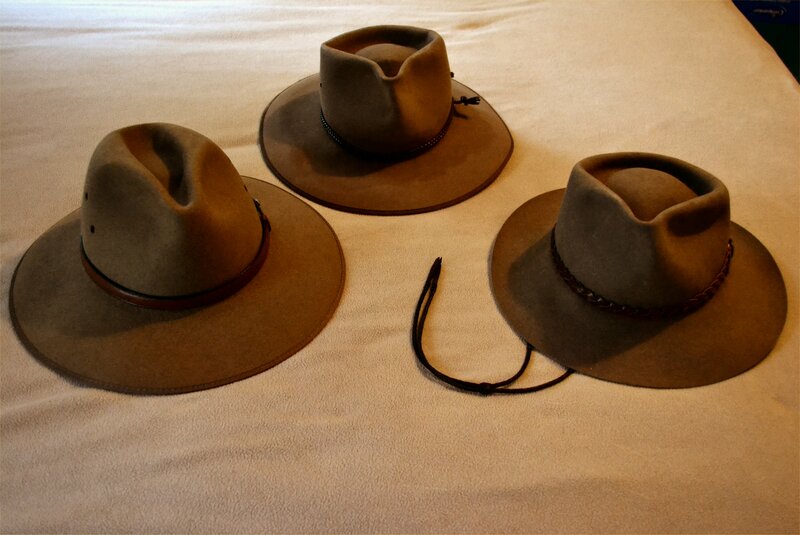 I probably first started collecting them on my first trip to Australia (1991), when I got my first Akubra. Although Akubras come in many styles, they are well known for being made from rabbit fur felt. They are a bit pricy, but since they last forever, they’re well worth it. And, yes, they are available in some stores in the United States. Although I’ve had other hats over the years–I seldom get rid of one when I grow tired of it–my current preference is for caps. When I was a kid, I wore the kind that has the bill snap. Now, however, I prefer the kind where the material is attached to the front of the bill. As a guy who’s always on the lookout for a bargain, I probably haven’t paid more than $15 for any one of the four I have. Collecting hats is a reasonably safe hobby, although it may tend to irk spouses upon occasion. But my wife has come to accept the fact that my love of hats is part of who I am. She has as little chance of breaking my habit as we are of successfully socializing our Asperger friend. I have several questions you might want to consider and post a comment in response to. Do you know anyone with Asperger’s Syndrome, and how successfully do you interact with him or her? And, on a less serious note, do you have a favorite collection of something that your spouse or friends think you are too seriously addicted to? “On Aging Gracelessly” isn’t my only blog. I post lyrics of the Christian songs I’ve written over the last fifty years on “As I Come Singing.” If you’re interested in checking that out, go here. Free lead sheets (tune, words, and chords) are available for many of my songs. Check here to see the list. This entry was posted in Akubras, Asperger's Syndrome, Caps, Collecting, Hats, Uncategorized and tagged As I Come Singing, Asperger's Syndrome, Hat Collecting, On Aging Gracelessly, Roger E. Bruner. Bookmark the permalink.